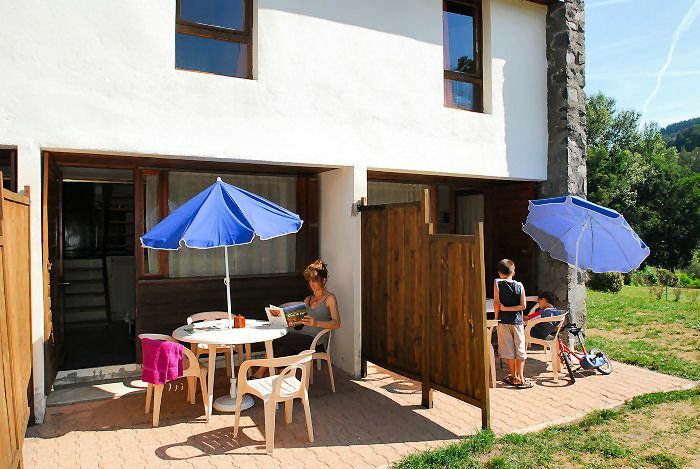 29m², functional, comfortable, terrace with garden furniture. Located 1km from the Lavoûte Chilhac resort, the VVF Villages Gorges de l'Allier ** includes 40 adjoining pavilions. 100m from the banks of the Allier, your holiday rental in Auvergne will benefit from an ideal location to discover the wonders of the Haut-Allier. For your relaxation, the village offers a heated outdoor swimming pool with children's plunge pool. You will also enjoy various leisure facilities for young and old: a reading corner with library, a play area with table football, sports fields (football, volleyball, basketball, petanque), a tennis court, a table tennis area and a children's playground. A mini-farm will open its doors, to come and discover its animals (chickens, donkeys ...), enough to please the whole family. Think about it! Only 250m from the village, find a supervised swimming area. During the day, appointments tourism, a small tour to discover the surroundings, a visit organized at local producers, and activities (with participation) supervised by external service providers. For your comfort your establishment offers various services such as the rental of towels * and bed linen *, household packages * or baby kit (folding bed, high chair, baby bath). The village also offers electric mini-ovens on loan (subject to availability). It also has an automatic laundry * (with washing machines and dry linen), a free wifi access in the common areas and a free parking. The apartment has a renovated kitchen area with hotplates, fridge, cooking utensils and crockery for 5 people. Covers and pillows provided. Terrassa with garden furniture.